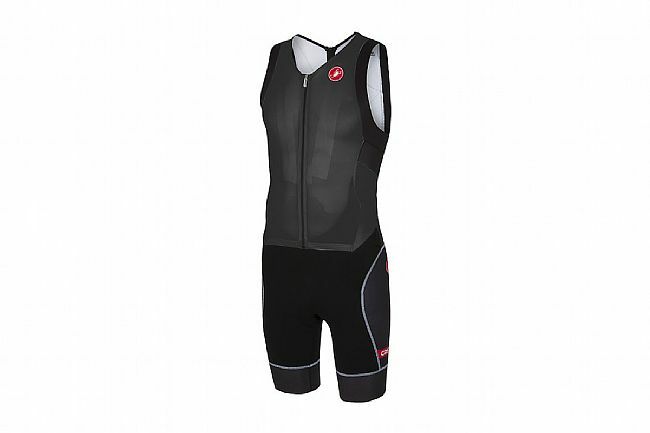 Castelli's Men's Free Sanremo Tri Suit Sleeveless is a long distance one-piece suit; catered to those who race 70.3 and Ironman distances but feel more comfortable in a one-piece. The Sanremo front construction makes it easy to ventilate and respond to the call of nature without compromising aero performance. Soft finish armholes and the Kiss Tri seat pad deliver maximum comfort. Two FreeAero pockets on the back lay flat for the swim while providing plenty of space for carrying nutrition on the bike or run. SpeedFreak ventilated race fabric on front upper portion. 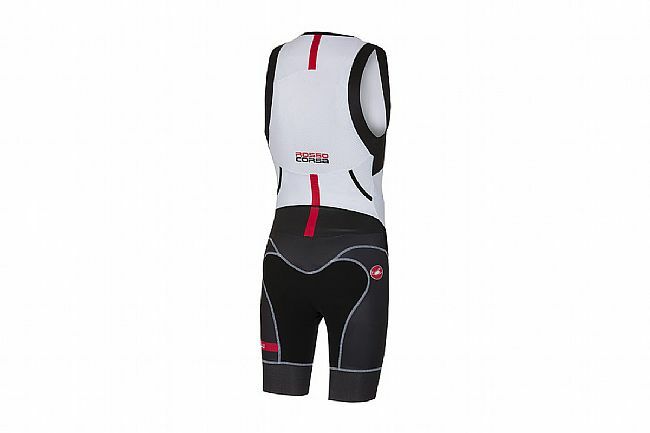 Castelli-innovated front construction allows easy nature breaks and ventilation. Small pocket on each hip.